Many fortunate people do make intimate relationships which continue until death, and which constitute their major source of happiness. But even the closest relationship is bound to have flaws and disadvantages, and it is often because people do not accept this that they are more unhappy than they need to be, and more inclined to abandon one another. If it is accepted that no relationship is ever ideal, it makes it easier to understand why men and women need other sources of fulfillment. As we have seen, many creative activities are predominantly solitary. 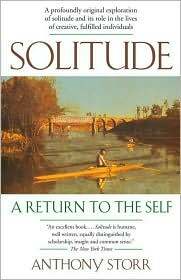 They are concerned with self-realization and self-development in isolation, or with finding some coherent pattern in life. The degree to which these creative activities take priority in the life of an individual varies with his personality and talents. Everyone needs human relationships; but everyone also need some kind of fulfillment which is relevant to himself alone. Provided that they have friends and acquaintances, those who are passionately engaged in pursuing interests which are important to them may achieve happiness without having any very close relationships. Posted in Friendship, Life Philosophy, Love, Reading. I do need the eggs. I wish I didn’t. I keep trying to reconcile these 2 paradoxical feelings. Writing is a solitary occupation but, for me, it comes out of experiences in life that I’ve had with children and from discussions with adults I value. I write for children mainly and it can be fulfilling as long as parents feel it’s worth buying the books! I seem to remember a famous author saying that we have all the “material” we need as writers by the age of 12! But I don’t know any writer who doesn’t draw inspiration from either observing or interacting with the people around them. I so identify. I’m married but write nine hours a day. I miss the intellectual women friends I had in NYC. I now live in the intellectual wasteland knowns as Pittsburgh.